Imagine this sunny, clear skies, nine holes freshly manicured, ready and waiting for you. Each with it's own fun activity and challenge, with unlimited liquid courage. 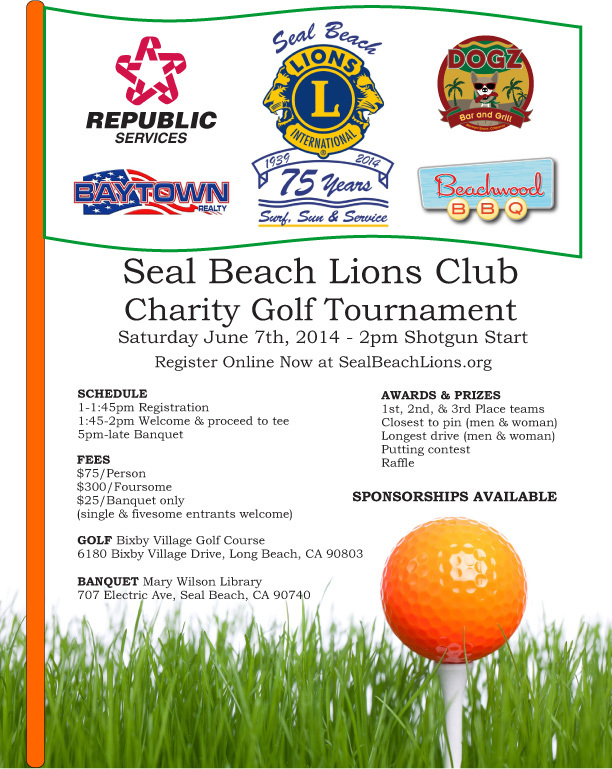 The Seal Beach Lions Club Charity Golf Tournament is on Saturday, June 7th at Bixby Village in Long Beach. Registration begins at 1pm, Shotgun start at 2pm and a banquet dinner at Mary Wilson Library Senior Center in Seal Beach around 5pm, which is catered by Beachwood BBQ, drinks provided by Dogz Bar and Grill and sponsored by Republic Services. 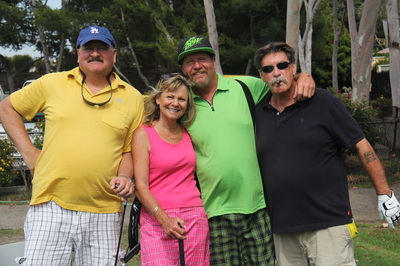 While golfers of all levels are welcome, there is nothing serious about this event and silliness is the game of the day. There is a raffle drawing and awards given on winners select holes. This event is open to everyone, so please invite your family and friends to come! It is going to be a great day filled with special memories. And perhaps, most importantly, all proceeds will go to the visually impaired. If you are interested in volunteering,we are looking for help anytime between 11am - 8pm. Opportunities include helping with preparing the golf course and banquet room, as well as overseeing the activities on the course. Please contact the chairman Grant Newton at sblionsgolftournament@sealbeachlions.org to help. We provide a special treat for our volunteers, but you will need to contact Grant for more information.